Are you waiting for ISRO Recruitment Notification 2018 for Stenographer & JPA Vacancy ??? If yes, then here is good and latest news for you. 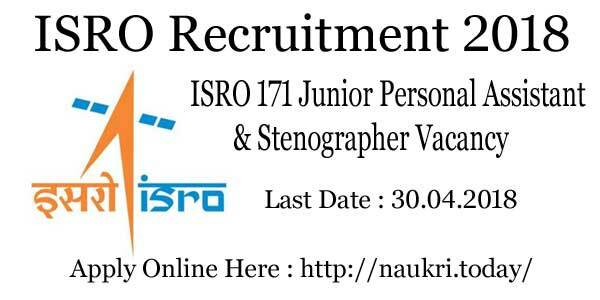 Indian Space Research Organization, ISRO ICRB has published employment notification for filling up 171 Junior Personal Assistant and Stenographer Vacancy. Interested and eligible candidates may apply for ISRO Job 2018 through online mode. ISRO Stenographer Vacancy 2018 Online form available on official site as well as here. The last date of online registration is 30.04.2018. More information you can collect from given below article. ISRO Online Form 2018 available here from 10.04.2018. Applicants who want to apply online can registered here. Indian Space Research Organization, ICRB has released notification for 171 Stenographer & Junior Personal Assistant Vacancy. Details like eligibility criteria, application fees, selection procedure and how to apply of ISRO Junior Personal Assistant Recruitment is mention on below section. So application who are interested must read our full article carefully. What is the Eligibility Criteria for ISRO Scientific Assistant Recruitment 2017 ? Candidates who wish to apply online for ISRO Recruitment 2018 must fulfill eligibility criteria. it includes details of education qualification, age limit and others. So all candidates who are interested should check that they are fulfill or not eligibility conditions of ISRO Jobs. For more details you can collect given below section. The education qualification is main eligibility conditions for all recruitment process. Candidates who are going to fill ISRO Recruitment 2018 must hold Graduation Degree in any stream with first class from recognized university. Applicants also have minimum 80w.p.m typing speed in English Stenography. Knowledge of computer is also a elementary part for ISRO Stenographer Vacancy 2018. Rest of information check official notification carefully. Candidates minimum age is require 18 years for ISRO Jobs. Candidates should not be more than 26 years. Upper age relaxation is applicable as per govt. rules. Check given below section for more details. Candidates selection will get made on the basis of written examination and typing test. The written test is organized for ISRO Recruitment 2018. For more details check official notification. Applicants have to pay Rs. 100/- towards application fees. Fees should be submitted either online mode or offline mode. Applicants can Submit offline fees at any SBI Branch. For more information check ISRO Notification 2018. Applicants pay scale is made according to pay matrix level 4. The approximate salary for ISRO Jobs is 25000/-. Rest of details you can check official notification. Candidates who are interested and eligible also for ISRO कनिष्ट वैयक्तिक सहायक Vacancy can apply through online mode. Applicants who are going to fill the application form must have valid email id, mobile no. and scan copy of require documents. So before going to fill ISRO Vacancy online form you must collect given above object. Then after follow given below instructions to fill ISRO Online Form 2018 from here. First of all go to official site www.isro.gov.in. Go to career section and then find ISRO Recruitment Notification. After that download it and read carefully. Then after go click apply online for ISRO Junior Personal Assistant Recruitment. First applicants are registered on National Career Services (NCS). Then after again log on to official site. Click on Registration Confirmation Form. And enter all require information. Confirm your ISRO Stenographer Vacancy online form. You can also check payment status and application status. Take print out of application form for future uses. You can direct apply online from given below link. Conclusion : Indian Space Research Organization has recently issued notification for 171 Junior Personal Assistant & Stenographer vacancy. Interested and eligible candidates can apply online for ISRO Recruitment 2018 either here or official site. The last date of online registration is 30.04.2018. Are you waiting for ISRO Recruitment 2018 ? If Yes, Then here is good news for you. Indian Space Research Organization & ISRO Centralized Recruitment Board has issued employment notification for filling up 106 Scientist/ Engineer Vacancy. This is a golden opportunity for the candidates who are searching B.E/B.Tech Govt. Jobs. Applicant can apply online from 31.01.2018. You can fill ISRO Online Application Form on or before 20.02.2018. Here you get all details regarding ICRB Recruitment. You should read full article for more details like eligibility criteria, application fees, pay scale, selection process and others. ICRB Recruitment for 106 Scientist/Engineer Vacancy, apply online application from here or official site. Applicants who are interested for Scientist/Engineer Vacancy should apply for it. Interested and eligible applicants can fill ISRO Online Form till 20.02.2018. Exam will going to conduct on April month. Applicants who fulfill eligibility criteria can apply for scientist post. Here our team also published ISRO Recruitment 2018 eligibility details. You should ensure that you are eligible to not. ISRO Scientist Recruitment details are mention below. Interested candidates who are going to apply for Indian Space Research Organization Recruitment should check Eligibility Criteria. It includes details of Education Qualification, Age Limit and others. ISRO Recruitment 2018 Eligibility Criteria is mention below. In Given below section you should check eligibility details of ISRO Jobs. Applicants must have full time B.E/B.Tech or equivalent Degree in respective discipline from recognized university. Candidates should have BE/B.Tech or equivalent degree in Electronics, Mechanical and Computer Science. Applicants must have first class degree with aggregate 65% marks or CGPA6.84/10. Furthermore regarding education qualification should check ISRO Notification 2018. As on 20.02.2018 for applicants should be equal or less than 35 years. Ex-Serviceman and PWD candidates age relaxation is applicable as per govt. of India rules. Rest details you should check ISRO Scientist Job notification. Here you get details regarding selection criteria, monthly salary, ISRO Vacancy Application Fees and others. Given below section you get all details regarding ICRB Jobs for Scientist/Engineer posts. Selection will get made according to their performance in B.E/B/Tech Exam and then Written test organized for participants. After written test candidates will short listed for an interview. ISRO Recruitment Final selection will be based candidates performance in an interview. Candidates must get 60% Marks in interview. Furthermore details should read given below official advertisement. For ISRO Scientist/Engineer Job selected candidates will get Rs. 56100/- Per month. Pay scale made according to Level 10 of pay matrix. You should check official ISRO Notification for further details. Applicants should pay Rs. 100/- for each ISRO Online Application form. Candidates may make payment for ISRO Jobs through online mode or offline mode. If candidates pay through online mode, then they can use Internet banking/Debit Card/Credit Card. Applicants also pay application fees through visiting any SBI Branch. Fees exempted details should check official advertisement. Important Note : Applicants who are already employed under Central/State Government/PSU/Autonomous have to send required documents. Applicants need to send ‘No Objection Certificate’ duly indicating the Registration no. and post code. You should send it to the Administrative Officers (ICRB), ISRO Headquarters, Bengaluru. Last date to send documents is 27.02.2018. Interested and Eligible candidates should apply through online mode on official site or here. Applicants should follow given below procedure to fill ISRO Online Form. First go to official site www.isro.gov.in. Then Click on Recruitment for Scientist/Engineer Vacancy. Read full notification carefully before apply. Then Click to apply for ISRO Scientist/Engineer Jobs. Fill ISRO Online Application Form with required details like personal and Educational. Upload required documents such as photograph & Signature. Check your form carefully and then submit it. Make payment through online or offline mode. Take hard copy for future uses. Applicants also fill ISRO Engineer Online Form through direct from given below link. Conclusion : ISRO Recruitment 2018- Indian Space Research Organization has published advertisement for recruitment of 106 Scientist/Engineer Vacancy. Candidates can fill online application form from 31.01.2018. Last date of online registration is 20.02.2018. The Written Test will going to held on 22.04.2018. Do you want to Apply For ISRO Recruitment 2017 ? If yes then you may check this article. Recently, Indian Space Research Organization has published a vacancy notice for recruiting eligible candidates on 84 posts. Applicants who are interested can apply for JRF, Research Associate, Technical Assistants, Scientific Assistant and Technician vacancy. Interested applicants can fill application form for ISRO Vacancy through online mode. The participants who want to apply for ISRO Jobs should submit the completely filled applications 17th November 2017. 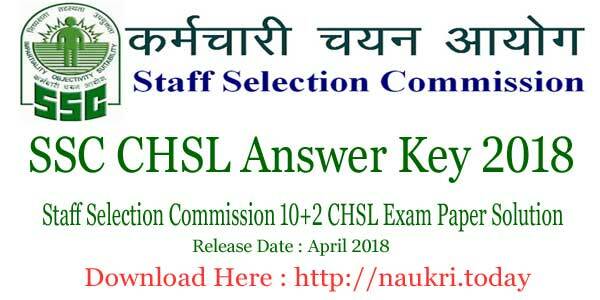 You will get all the details like eligibility criteria, pay scale, application fee, selection process etc here in this article at naukri.today. Indian Space Research Organization commonly known as ISRO. The department earlier has released a notification for inviting eligible candidates for various vacant posts. 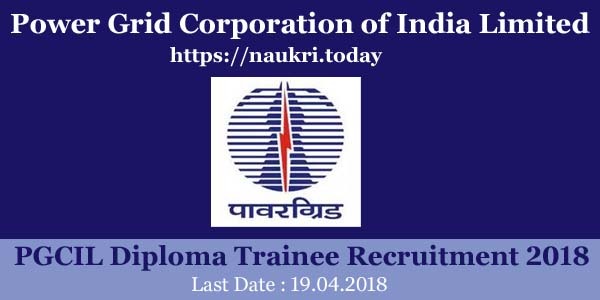 Interested candidates can apply for total 84 posts for various posts. ISRO Recruitment 2017 process was started from 23rd October 2017 and will end on 17th November 2017. The applicants who have not applied yet can apply for ISRO JRF Vacancy 2017 from here. Aspirants who are interested and eligible for ISRO Jobs can check the official links given in the end. Junior Research Fellow Post : Candidate should have done M.Sc or M.E/ M.Tech in Physics Oceanography/ Meteorology/ Geophysics/ Mathematics/ Ecology/ Computer Science. Research Associates Post : Candidate should have done Doctorate or equivalent degree in Science/ Engineering/ Technology or having a 03 years of research, teaching and design development experience after M.E/ M.Tech with at least one research paper in Science Citation Indexed (SCI) journal. Technical Assistant Post : Candidate should have Diploma with first Class in Electronics/ Electronics & Telecommunication / Computer Science/ Information Technology / Mechanical Engineering from a recognized University. Scientific Assistant Post : Candidate should have B.Sc in Multimedia / Animation with first Class from UGC / AICTE Govt. recognized University. Technician Post : Candidate should have done Matriculation + ITI /NTC / NAC in Electrician Trade. The applicants who will be applying for ISRO Vacancy should be minimum 18 years old and maximum 35 years old. Age relaxation will be given to the applicants belonging to SC/ST Category for 05 years and 03 years for OBC Category candidates. Indian Space Research Organization will be conducting Written Exam or Skill Test to recruit eligible candidates for ISRO Research Associate Jobs. The applicants who will qualify the Written Exam or Skill Test will be working for various posts. You can check the official links to check the selection process for ISRO Vacancy 2017. First, you have log on to the Official website www.sac.gov.in. Then, you have to click on “ISRO SAC Vacancy 2017”. Fill the details correctly in the ISRO Online Form. After it, upload the scanned image of photo & signature in application form. Then recheck all given details for ISRO Online Application Form. After it, you should send the hard copy of application at below address. Conclusion : ISRO Recruitment 2017 – 18 is now available on its official website. The applicants who are interested can fill application form for ISRO Vacancy 2017 online from here. Participants should submit the application form latest by 17th November 2017. You can stay connected with our website for all the latest updates related to ISRO Online 2017.
my branch is electrical engineering. can i apply foe electronic scntist post ?? my branch is electrical engineering, can i apply for scientist electronics? ?